One of the most amazingly animated feature films I have ever seen, Cars 3 trails only Inside Out as a combination of perfect visuals and stirring story, stamping its own legend and franchise with a gold seal as Lighting drives off into the sunset. I’m a fan of the series and I have a young boy, so I’m partial to the characters and my son has more than a few of them in Matchbox form. It’s a wonderful world of humor and heart, of astonishing anthropomorphization that approaches real genius. Lighting, Doc, Mater; these cars will live on forever, and I’m aware how dramatic that sounds, but I believe it to be true; this is a trilogy that will stand up over time and that will keep a place of honor in the Disney/Pixar film vault. What’s more, this third installment is the best yet by far, and has a real shot at taking home Best Animated Feature at this year’s Academy Awards. 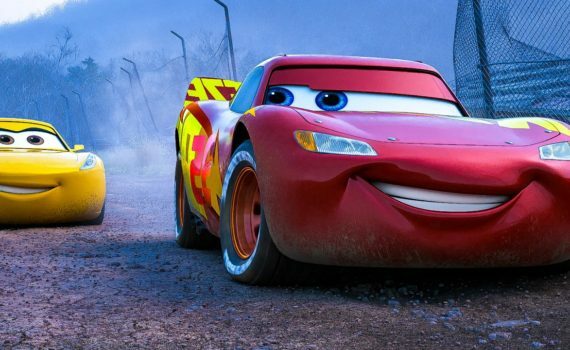 Our favorite, cocky racer, Lighting McQueen, is still going strong on the Piston Cup Circuit. He’s a veteran by now, but still loves the thrill and the speed of the track more than anything, and can’t imagine a day when he might step away. Well, the decision may not be his to make, because a new crop of rookie racers are hitting the blacktop, and they have skills that Lighting has never seen before. In comparison, he seems slow and sluggish, an old car who doesn’t know that his best days are behind him. But Lighting doesn’t know the word ‘quit’, and a new owner creates a facility to help the champ get back up to top speed. His trainer, Cruz, knows how to motivate competitors, but she may also need some motivation of her own, as she and Lighting travel the South looking for the magic that he may have lost, that he hopes to harness one last time. 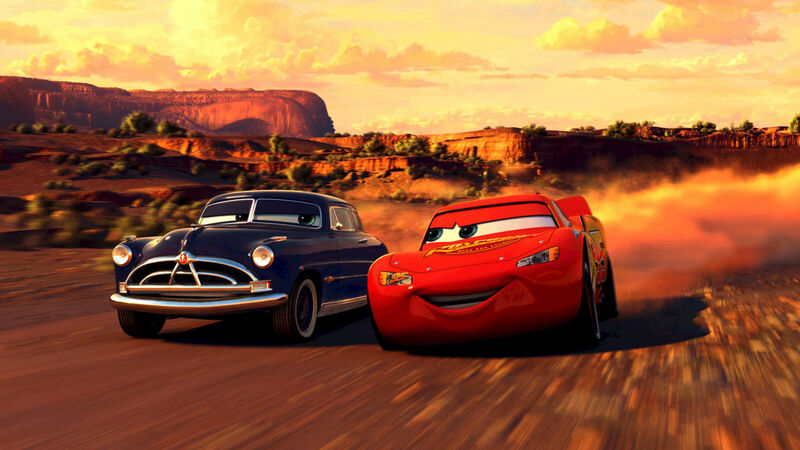 Cars was great, Cars 2 was only OK, but Cars 3 is spectacular. First, they returned to the proven formula of the first film instead of trying more antics like a villain, a sidekick, some action. This film is a throwback to the simple ideals of this genre, without the added crises and chaos that can so easily feel forced. Lighting is aging, it’s difficult, he struggles, and in the end hopes to find redemption; that’s basically it. But that’s enough for me, and I hope that amount of pure heart is enough for you, because this movie scales back when it could overpower, and that’s something worth praising. Time is taken to develop character, and it’s even a character we already know, so they didn’t have to do that; the fact that they did it anyway means something. Doc is gone but his memory lingers, Lighting is changing but it’s not necessarily for the worse, and there are still lessons to be learned from this parade of vehicles. The addition of a female character (other than Sally) is more than welcome, it’s in standing with the current trend in the industry, and count me among the group who couldn’t be happier. Cruz is Lightning’s shadow, and we learn more from her as the film progresses, understanding that she deserves the spotlight as well. Cruz isn’t the best character, or done with the best voiceover, but by the end she wins you over, and I guess that’s what counts. She’s both what makes the movie important and what makes it imperfect, but the enormity of her role can’t be questioned. Mater is a side piece, which I was happy about, I loved Lightning’s trek around the country, and oh my god, the animation is stupefying. When the “camera” zooms over the racetracks it takes my breath away, it’s a visual experience you have to see to believe. We’ll see if they make more movies in this franchise in the future, but they don’t need to; Cars 3 is the cherry on top.